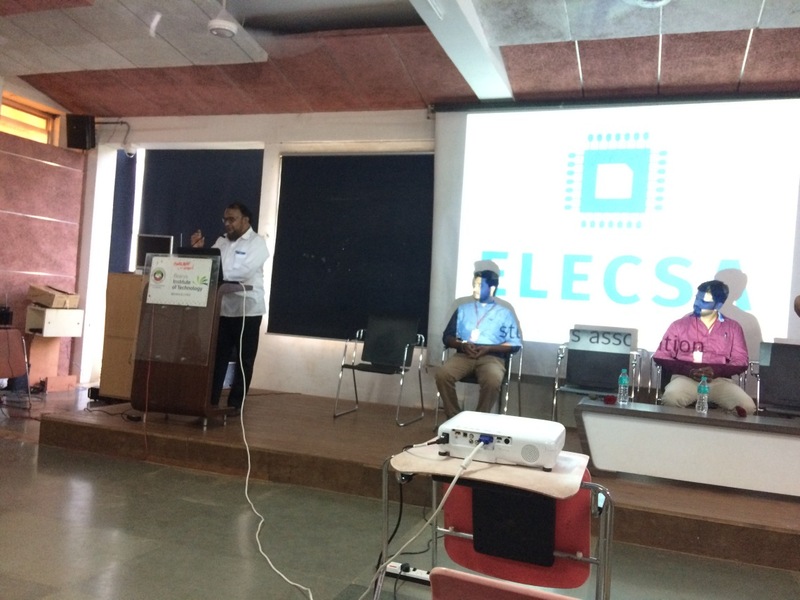 The Electronics and Communication Engineering (ECE) Department formally inaugurated the Departmental Student Association – ELESCA at 10:30 AM in the Seminar Hall in Academic Block, on 27 OCTOBER 18. The program began with Invocation of Almighty. The Guest of honor on the occasion was Mr. Sujan Raj and Mr. Vikram D of Slekin Technical Solutions Mangalore. The principal of BIT Polytechnic, Dr. Aziz Mustafa was present. The Logo of Association was unveiled by Dr. Abdullah Gubbi followed by the welcome address. In his speech, he has stressed on thinking out of the box and become feature Innovators. The dignitaries were welcomed by Ms. Shinoriya of seventh Sem and read a report of Association activities ELESCA held in the academic year 2017-18. Dr. Aziz Mustafa gave tips on how one can build confidence and improve the leadership quality within oneself. He also asked students to think differently and solve problems in a unique way. Mr. Sujan Raj gave a talk on Technology and Current scope in Engineering Field. He has covered the wide areas of Robotics and Automation. There was good interaction between students and Resource persons. 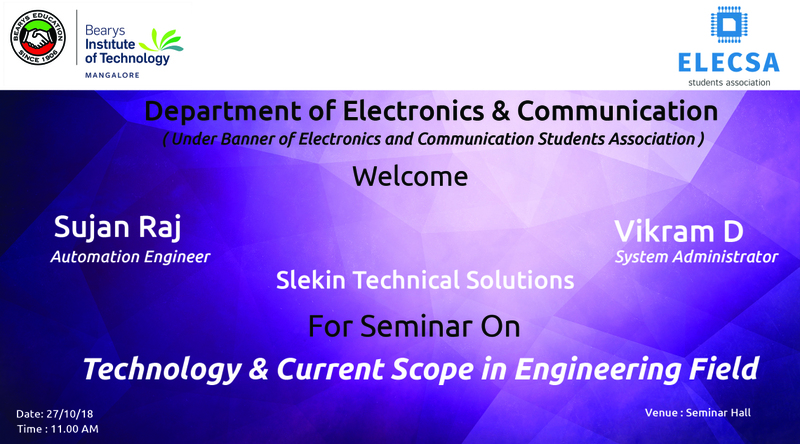 The Department has made a Technology tie-up with Slekin Technical Solutions Mangalore. The program coordinator Prof Shameez honored the guest with the memento. The program concluded with the national anthem at 2 PM.